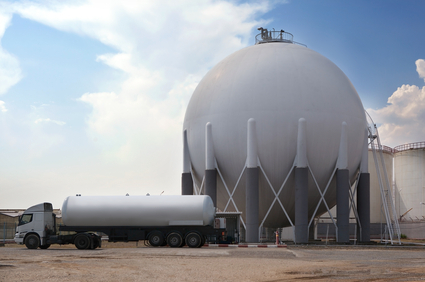 Canada isn’t fully capitalizing on the global LNG market due to speculation and storage – but with global LNG demand growing, how soon should Canada bolster its LNG production and market strategy? A survey conducted by Alberta Oil Magazine offers a look into the current state of liquid natural gas (LNG) in Canada, particularly in British Columbia, where over twelve LNG megaprojects of historic proportions have been proposed. Unfortunately, final investment decisions have yet to be made due to price variances because of unfortunate seasonal influence and hoarding. Investors are concerned with the possibility of over-supplying the market to the point it would make the industry significantly less profitable. Increasing domestic industry demand will not have a negative effect on the economic viability of the BC projects. Investors would like to see more government support to introduce training measures that address the small labor pool that the LNG industry will be facing. Investors would support the idea of using foreign workers to fill the labor gap. Investors are concerned with the prospect of Japan’s current dependence on natural gas slipping due to the reinitializing of their nuclear power plants, which were shut down since 2011 after the Fukushima disaster. Investors are on the fence about how much of an effect changing the price index will have on the industry. Investors feel that the B.C government isn’t doing enough to promote the industry, finding the two-tier tax policy uncompetitive compared to policies in the US and Australia. If the industry would further pursue floating LNG facilities, with their reduced capital and operating costs, LNG projects would be viable and competitive. While some LNG productions are being switched over to oil production because of LNG’s low price point, other LNG producers such as Quicksilver Resources and Liquefied Natural Gas Ltd have asked for federal permission to export 20 million tonnes of LNG per year over 25 years. This is a constructive attempt to diversify the markets beyond North America and benefit from higher prices in the Pacific markets. This is in part the reason there is such high interest in developing over a dozen LNG projects along the B.C. coast. If these projects can gain ground and funding, this can help bring consistency and competitiveness back into the North American LNG market where in turn a wider application and use of natural gas in public and private transportation can help contribute to ongoing efforts to reduce carbon emissions and pollutants, as well as progress the embedding of sustainable and renewable fuel. In addition to pursuing exportation as an option, it is important for LNG companies to address the investor concerns uncovered through the Alberta Oil Magazine survey. If industry leaders would work to gain greater government support and would consider alternative practices such as foreign workers and floating LNG facilities they may see investor interest increasing and their proposed megaprojects may become a reality.